Serial #1372034. Mahogany finish. Valued at $2,329. Selling with matching bench for $1,995 OBO. 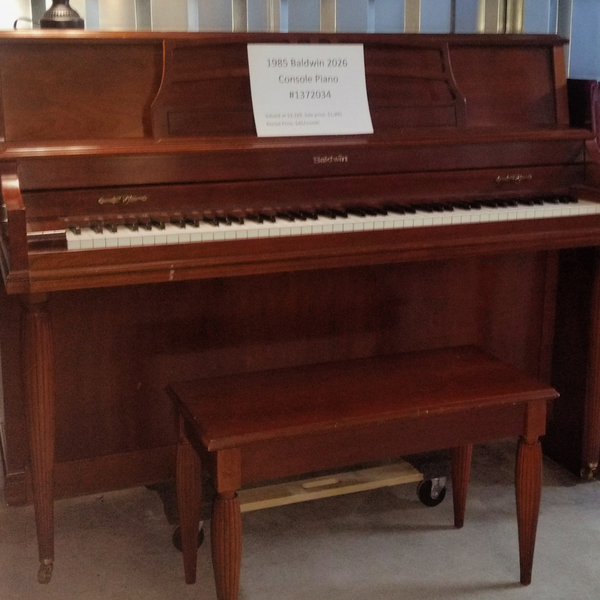 Rent this piano for $45/mo with option to buy. If you have any questions please call Nathan at (706) 726-8074. 12/20/2018 - This piano is a well made console that will serve you well. 1/24/2019 - We brought this piano up to pitch and it is sounding really good. The action has been gone over to ensure even play.